Every great vocal performance includes effects. Every. Single. One. But, you shouldn’t need an engineering degree and a pile of complicated equipment to make your songs sound great. SingThing combines pro-quality vocal effects, instrument connections, a powerful speaker, a mic and all the cables you need to get going right away. SingThing includes more than 200 artist-inspired presets covering a range of musical genres. Plus, there are nearly 1000 more available for free download via the VoiceSupport 2 program. Want to create something completely original? Any of the presets can easily be edited, renamed, and saved quickly. The included MP-75 microphone's Mic Control button lets you remotely control your SingThing effects and looping functions, freeing you to move around. 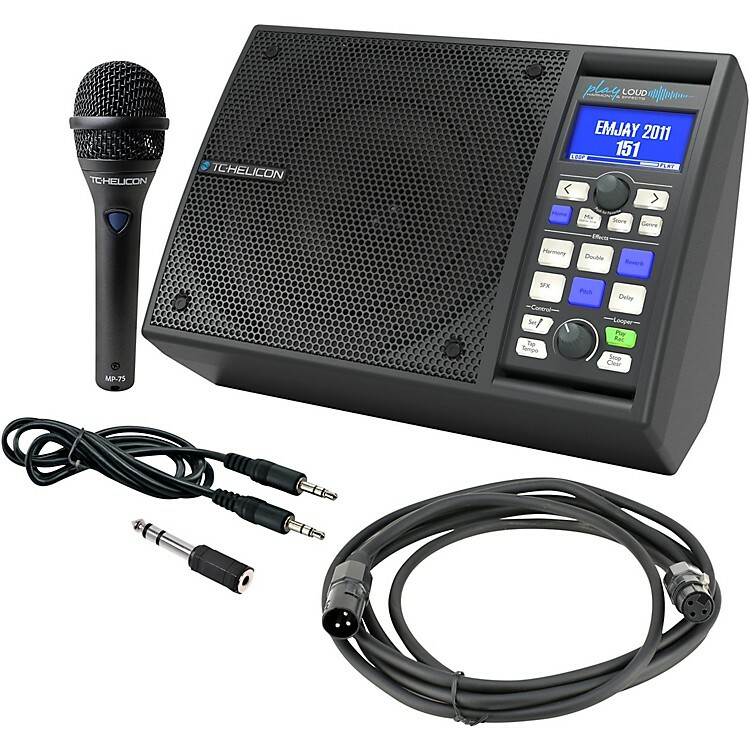 Make your vocal stand out with thousands of professional effects from this live speaker—order soon.